This is where the Anglo-Rumanian Society had its office (1927-1939). An important part in promoting British culture was played by the Anglo-Rumanian Society, founded in 1927 and the English House. In 1936, on the initiative of the British government, a new department, of English Language and Literature, was created at Bucharest University. In 1939, the Foreign Office requested that the BBC introduce news bulletins in Romanian. This was put into practice as soon as the war started. The 12th of September was the day of the first programme, when a 15-minute news bulletin was broadcast. Subsequently, this was supplemented with political commentaries and even cultural programmes. 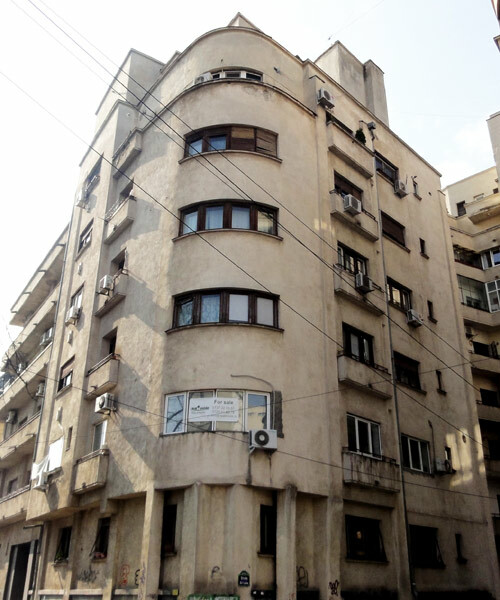 The Anglo-Rumanian Society had its office at Strada Boteanu 3, and after 1939, the address changed to Strada Slătineanu 20. The School of English Language and Literature was opened on 21 October 1937, the opening ceremony being presided over by Sir Reginald Hoare, a British government minister in Bucharest, under the patronage of King Carol II and Queen Marie. In 1938, the School became The Anglo-Romanian Institute.